← WIN TICKETS To See Kendrick Lamar, Mint Condition, DJ Quik & Too Short, Dom Kennedy,Joe Budden and More! 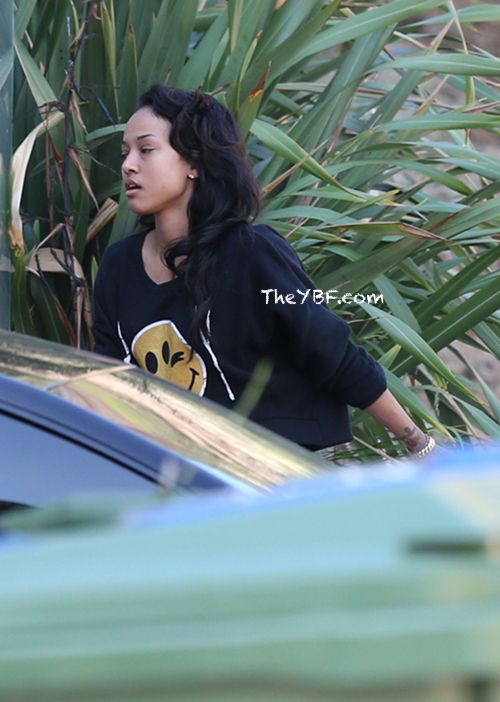 After partying it up with her friends Sunday night at Greystone Manor after her breakup went public, Karrueche was seen outside Chris Brown’s home Monday morning in the same clothes she had on at the club. Ummmmm. 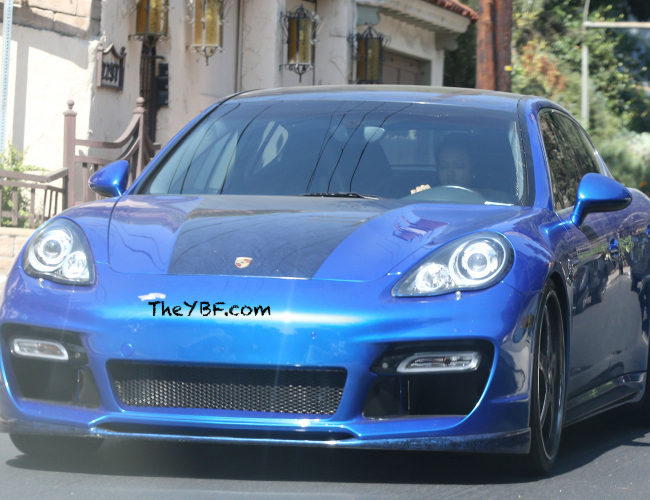 Paparazzi caught a peek of the blue Porsche (that Chris allegedly bought her) parked outside Brown’s home yesterday and it wasn’t too long before K was photographed outside the house and back in the car where she drove off. Meanwhile, Rihanna reportedly just returned from performing overseas. Of course, Rueche could have been simply stopping by the house for some closure, some of her belongings, or lets be real….some good good. Who knows? 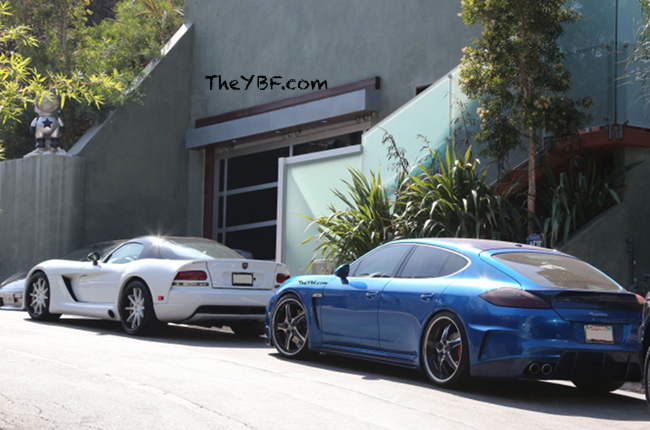 This entry was posted in Celebs, Gossip and tagged Chris Brown, Home, hookup, house, Karrueche Tran, love, Rihanna, Triangle. Bookmark the permalink.